When our firm handles a personal injury case, we begin preparing for trial from the outset.Due to the financial risks involved on both sides of a personal injury claims, most personal injury claims settle prior to trial.Our attorneys have significant experience in handling all aspects of a personal injury claims from pre-suit investigation and settlement negotiations to mediation, arbitration, and, if necessary, a trial. We prepare every auto accident case as if it were going to trial and make every effort to resolve cases by means of pretrial settlements, mediation and arbitration.We understand that broken bones, serious neck and back injuries, and brain injuries, can have a dramatic effect on people’s lives.Catastrophic injuries such as traumatic brain injuries (TBI), amputations, paraplegia, and wrongful death can result in lifelong financial commitments in addition to changing the lives of individuals and families forever. Our lawyers have worked these types of accidents as traffic investigators as well as an attorneys. Our highly skilled insurance defense attorneys boast extensive trial experience in insurance and tort matters throughout the state of Georgia.We vigorously defend all types of insurance cases.Lawyers at our firm have handled insurance matters involving:motor vehicle accidents; property and casualty matters; insurance contracts; subrogation claims; bad faith insurance defense; first and third party claims, mold defense, serious personal injury; and wrongful death. Our firm assists clients in business formation and planning, in deciding whether they want to operate as a closely held business, limited liability company, partnership, or corporation.Once a decision has been made, we take the necessary steps to draft any agreements required and file the necessary legal documents. We specialize in employment agreements. Our firm handles a variety of estate planning matters, including drafting wills and trusts.When a loved one passes away, our firm advises clients through the probate process, providing a helping hand in distributing the remaining assets and paying lingering debts.We will also litigate any probate disputes or will contests that arise. The experience that our office has with DUI cases is easily some of the most comprehensive in the State of Georgia. Fifteen years of law enforcement experience including training specific to DUI prosecution, State Certified in Standardized Field Sobriety Evaluations, and defending several hundred clients charged with DUI has allowed our firm to perfect our representation of a client charged with DUI. If you have recently been charged with DUI and been issued a DPS form 1205 you only have ten business days to request a hearing. If you do not timely hearing (within 10 business days) you will lose your driving privleges for a year.We can help. Most individuals have no idea of the associated penalties that a drug conviction will bring or how it would impact their future. The firm will insure that all your legal rights are protected. The attorneys have instructed hundreds of police officers in the area of search and seizure and can isolate inappropriate conduct very quickly. This also allows us to save on your legal fees if there is no viable argument in your case. We can then try to obtain a favorable negotiated result. A person would be hard pressed to find any law firm offering more collective and comprehensive criminal law experience. Years of law enforcement and prosecution experience with criminal matters allows our attorneys to navigate its clients through the criminal justice system without the unnecessary fear that their rights are not being adequately protected . If you have been arrested or fear you may be charged with a crime and want to have a lawyer help guide you through the process and insure that your rights are protected, we are the ones for you. At our Law Firm, we have many years of combined experience in personal injury cases, including claims related to car accidents. It is a crucial issue to get representation from our South Texas car accident lawyer as soon as possible after the incident. Our experience and personal dedication to our clients’ cases has lead to many high value settlements, judgments and verdicts. The first step after an injury accident is to protect your right to the compensation you deserve by getting legal representation. Insurance companies often do not want to pay fair compensation, and they move forward quickly to make a low settlement offer in serious injury cases. They contact the injured or their families and try to get information, including requesting medical bills and asking you questions about the accident. These interviews from insurance adjusters or other insurance company personnel can even take place when the victim is on pain medication or suffering from the injury and unable to think clearly. Our firm is exceptionally experienced in injury claims in all types of car accidents and all degrees of car accident injuries. 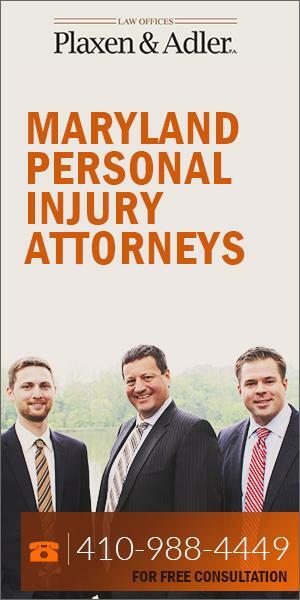 Whether your injury was the result of a single vehicle accident, multi-vehicle accident, rear-end accident, head-on accident, t-bone accident, rollover accident, side-impact crash, car-truck accident, involves a vehicle operator who was driving while texting or an auto product liability claim, we have the experience and aggressive approach to pursuing compensation that you need. We fight for the rights of motorcyclists that were injured by a negligent driver, both in sport bike accidents and cruiser accidents. We know how to file a car accident insurance claim and get results. Those who were injured in a drunk driving accident are often very seriously injured, and may require months or even a lifetime of medical care and intervention. These catastrophic injury claims are of extreme importance to the victim and their families, as their future health and care will be paid for by the settlement. It is important that any person injured in a car accident whether a mild injury or serious injury with permanent damages has access to the highest quality medical care and treatment, and that their financial losses and emotional anguish is also addressed in financial terms. We serve the South Texas area as well as the areas Central Texas. Protect your right to fair compensation: Get an attorney. Our firm is very aware of the activities that insurance companies engage in with regard to settlements. It is established that those who have legal representation are likely to get a much higher settlement, and we are zealous about protecting the rights of our clients to the compensation they deserve. We manage the injury claim from the outset, carefully obtaining and preserving any necessary evidence to support the case for liability, and will address the issue of your medical records and what should be supplied to the insurance company as well. We are not willing to have our clients become a victim a second time, particularly when they are suffering from injuries and in pain. We are here to help you get your claim resolved at a level that reflects all the damages in your case, both in financial terms, such as medical bills, hospital costs, medications, medical equipment, nursing, and rehabilitation. The claim must also address the issue of pain and suffering, lost income from work and predicted future financial losses, among other possible damages. 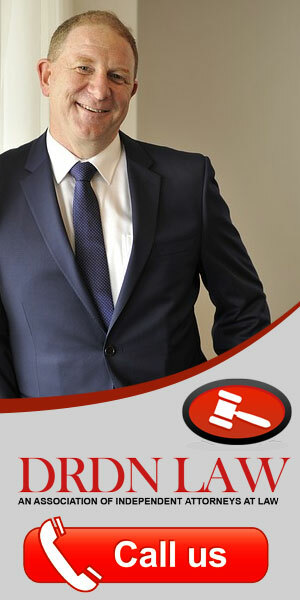 Contact our South Texas car accident lawyer from our firm today. With more than 30 years of experience, Keith D. Saylor has the knowledge and skill to represent clients in a wide range of personal injury, family law, criminal defense and other legal matters. © 2018 Law Blog | All Rights Reserved.